Giani had been interested in art since the age of five, drawing and sketching whenever he would get the chance. As he got older, he resolved to fulfill his desire to become an artist. Upon admission into the illustrious academy, he excelled in the field of oil canvas painting. As a student, he prepared his own canvases, mixed his own paint, and churned out impactful pieces of art. His impressive work caught the eyes of teachers, peers, and artists alike. Looking for greater opportunities for growth and recognition overseas, Giani decided to move to the United States. He started out doing minor work for small jewelry shops in Los Angeles, California. Once he mastered the ropes, he began carving his own works of art that expressed his personal style and flair. 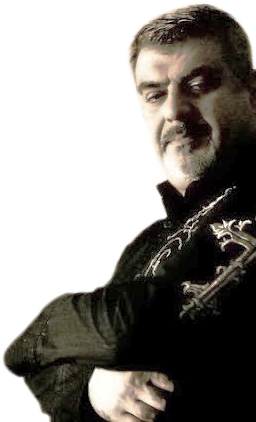 He courageously decided to leave his jobs and start his own jewelry brand called Giani Inspirations. In order to succeed in the very competitive sterling silver gothic jewelry industry, Giani continuously strives to be the authority on what he calls “Art of Charms.” Much of his work consists of intricately crafted charms in various themes and designs. However, his most popular and valued pieces are his recent models in sterling silver gothic jewelry. His own favorite line of jewelry called Dreams In Africa (DIA) reflects the heart and soul of African culture. Giani has built partnerships with some of the most renowned jewelry designers and manufacturers of our time, creating impressive pieces for luxury brand name gothic jewelry designers. He has drawn wisdom from each mistake, gained experienced from every accomplishment, and mustered these tools of knowledge as a part of his creative arsenal. Apart from his multi-dimensional imagination, Giani’s “inspirations” have turned into masterful pieces. 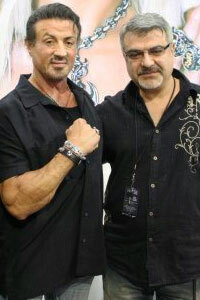 His jewelry has a large following of fans which include a number of celebrities, such as Sylvester Stallone. Thriving on quality, durability, and customer satisfaction, Giani Inspirations seeks to create unique sterling silver gothic jewelry for fans throughout the globe. Based in Los Angeles, California, Giani Inspirations is the prime leader in quality artistic fashion jewelry because each piece is tastefully handcrafted without CG machines. Encompassing cultural and artistic modern-day themes, Giani Inspirations presents a line of masterfully crafted sterling silver jewelry unlike any other. The life of all my work begins with simple sketches in my prized notepad. I sketch in the family room instead of the office. I get more of a sense of self and feel more comfortable being in my home doing what I love, away from the office under the pressure of time. When I review my sketches and see something with great potential, I re-draw it and make special touches to it. Once the sketch is finally finished and looks ready, I begin to carve it on wax with special tools. The carving can take anywhere from a few hours to a few days. After it has been carved, I put my personal logo on each final product. It is then cast with gold, silver, or both on some models. Then, I polish each item individually so that photos can be taken and added to the inventory. All of our chains that come with our jewelry are also handmade, whether they are leather wrapped or silver. Each neck chain is put together, one piece at a time, under my careful eye. We take pride in our hand made jewelry, and wish to serve you with the most delicate and prestigious quality you can imagine. A few extra hours on my part, is worth a smile on your face.